One thing you can count on: things keep having happened. No matter when you are, something happened 10 years before it, or 20, or 50, or 100… and milestones always need marking. Heck, the 50th anniversary of Miles Davis’ Milestones is coming up next year. We’ve observed a few notable milestones here – the anniversary of John Coltrane’s passing just a few months ago, Charlie Christian’s Centennial last summer–and we cannot allow the 100th birthday of Thelonious Monk (born October 10, 1917 in Rocky Mount, North Carolina) to pass without mention. Monk was, needless to say, absolutely huge, as iconic as an icon can be, a singular presence as a musician and arguably as influential a composer as jazz has ever known. 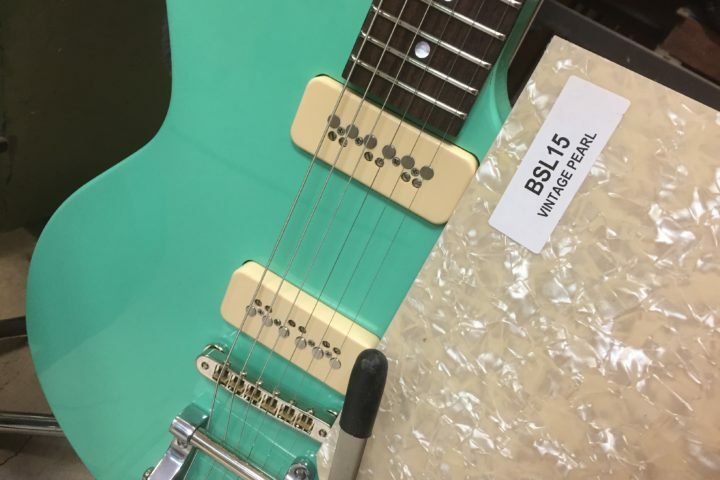 And that Monk thing, that angular, clustered, syncopated, funky thing…damned if that’s not a sweet spot for guitar players. Be it that thing or those songs, guitar players have embraced the Monk songbook as their own. Mostly “‘Round Midnight,” of course, which is about as standard as a Standard can get, and has been giving all manner of treatment (standard and not), but stretching well into the (brilliant) corners. 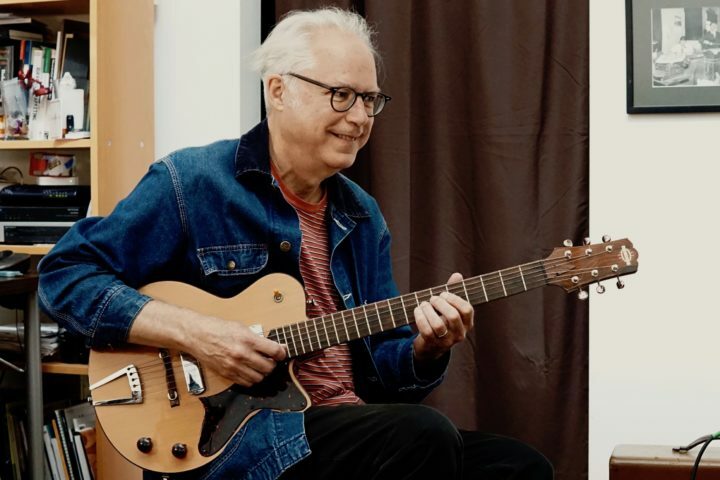 As you might guess, Bill Frisell has been among the foremost Monk interpreters throughout his career, particularly in his work with the late, great Paul Motian, but everyone from Tal Farlow to Charlie Hunter has worked some Monk into their repertoire, which means our decision to share a simple Spotify playlist and leave it at that turned into something a bit more…involved. Just about any discussion of Thelonious Monk, Composer begins and ends with “‘Round Midnight,” and so does our playlist. When we started looking for a version to include we found eighteen without really trying. It’s an impeccable composition, really, amenable to a stunning variety of treatments–everything from an insane two-handed Stanley Jordan solo arrangement to an irrepressibly swingin’ Wes Montgomery/Jimmy Smith version…with horns! We chose to begin our playlist with a lilting treatment by the Brazilian maestro Baden Powell. Charlie Haden / Jim Hall (recorded live at the Montreal International Jazz Festival) is one of the truly great jazz albums. Lucky for us, they included this just about perfect version of “Bemsha Swing,” the set opener and as fine an example of duet playing as you will ever hear. Next up are two duets with the pianist Fred Hersch, one featuring Julian Lage, the other Bill Frisell. Hersch isn’t a meek player, but he takes a very lyrical approach to Monk’s tunes. Julian and Bill are in the Contrast roles here, both to Mr. Hersch and to each other–Julian’s approach seems more complimentary, whereas Bill assumes a more contrapuntal posture. Note that Julian and Fred’s “Monk’s Dream” was recorded live at the Kitano, in New York City. 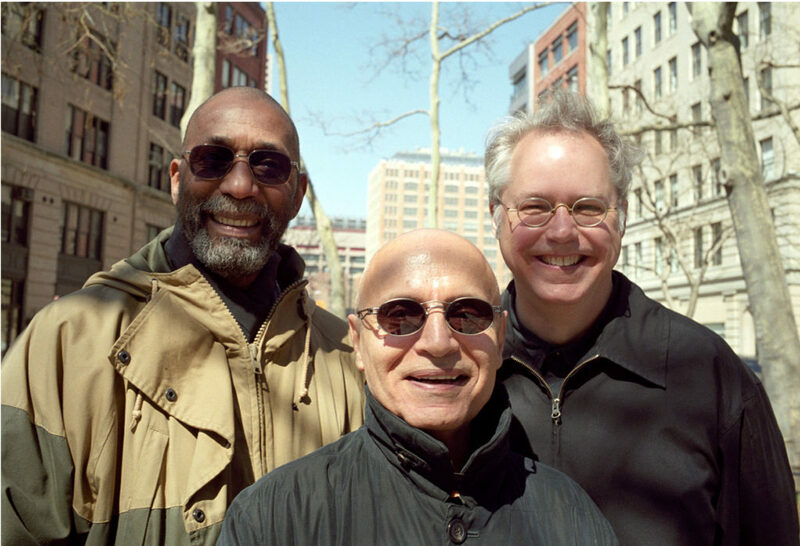 It’s very easy to think of Bill Frisell as the perfect interpreter of Monk on guitar, particularly if you’ve heard any of the many Monk recordings he’s made as part of the Paul Motian Trio (witness the indispensable Monk in Motian)…unless you’ve heard Elliott Sharp’s album Sharp? Monk? Sharp! Monk! On solo acoustic guitar he flat-out channels Monk. We could have made the record the entire playlist and left it at that, but where’s the fun in that? We opted for this over-the-top version of “Epistrophy,” instead. Bill has also made a great recording of this song with The Paul Motian Trio that’s worth seeking out. Gary Wittner, meanwhile, has literally written the book on Thelonious Monk for Guitar. This arrangement of “Monk’s Mood” is a wonderful treatment in a classic solo guitar setting, a striking counterpoint to Sharp’s approach. Jim Hall might not be the first person you think of for this one, which in Monk’s hands was typically all sharp angles and dissonant clusters. His arrangement here is downright symphonic, opening with warm, gentle brass that gives way to a swinging trio section before the last section, a study in dramatic orchestration and a perfect illustration of where Monk meets Leonard Bernstein. Here’s Bill again. He has recorded this song multiple times, performed it live countless more (check out the solo version from #002 in his Live Download Series). 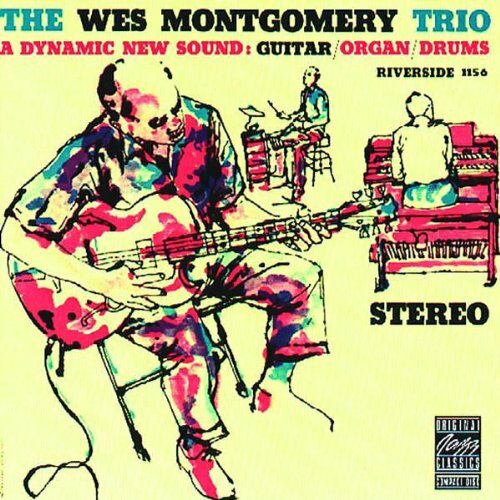 This version is from his album with Ron Carter and Paul Motian, and the three of them settle into it like a comfy chair. Confession: I had not heard the album from which these two recordings were taken before compiling this playlist, much to my chagrin. These are great versions of these songs, with the interplay of clarinetist Ben Goldberg with Adam Levy bringing to mind the work of Jimmy Giuffre with Jim Hall on “Crepuscle With Nellie” and “Little Rootie Tootie” reminiscent of the dynamic interplay of the aforementioned Paul Motian Trio. And, of course, “Crepuscle With Nellie” and “Little Rootie Tootie” are two of the all-time great song titles–the former written for his wife, the latter for his son, the jazz drummer T.S. Monk. 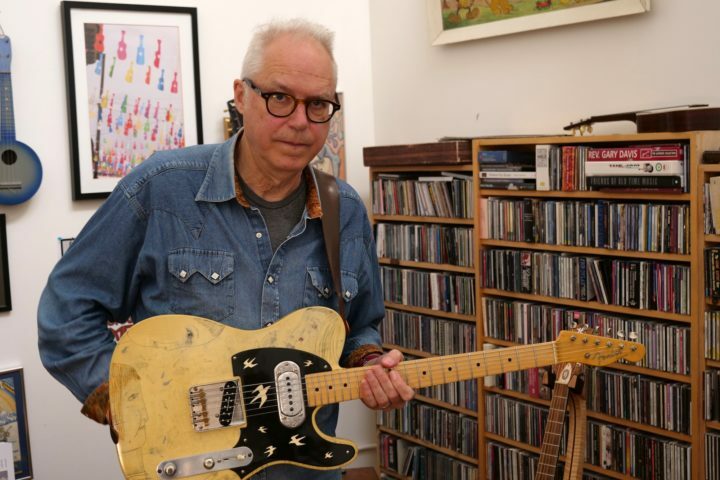 This version of “Jackie-ing” (written for Monk’s niece) is just about as uptempo as you’ll ever hear Bill Frisell. Taken from his suite-like album History, Mystery, it’s a tight arrangement featuring Jenny Scheinmann and Hank Roberts on violin and cello, respectively, and Ron Miles on Cornet. Bill swings hard on this one, for sure. Meanwhile Charlie Hunter’s dazzling two-hand technique is neatly paired with the raw energy of Skerik’s tenor sax for this recording of “Green Chimneys” from the drummer Stanton Moore’s All Kooked Out! The vibe is slinky and funky, a nice place to put Monk. “Green Chimneys” is also the title track for the Monk tribute album recorded by Andy Summers (yes, that Andy Summers), on which you can find “Boo Boo’s Birthday.” Both “Green Chimneys” and “Boo Boo’s Birthday” were written for Monk’s daughter, Barbara. What can we say? Tal Farlow just smokes this one, truly “Straight, No Chaser” – swing the melody, then blow. If you’re accustomed to the acoustic work that dominated Larry Coryell’s output post ’75 or so, this version of “Trinkle Tinkle” is a bit of a throwback to his earlier days. Thought it was recorded in 2002, this ten and a half minute take on the song travels all over the place, swinging and skronking. The chord work around the 3:00 mark makes me swoon a bit…and he flat out shreds a lot, too. Given its down-home twist, you’d be forgiven if Ellery Marshall’s take on “In Walked Bud” put you in mind of “Bud’s Bounce.” Totally different Bud, but a similar vibe. The talented young banjo player Ellery Marshall, with David Grier on guitar, Eric Robertson on mandolin, Alex Hargreaves on fiddle and Dave Speranza on bass, recorded this neat genre-bending treatment of Monk’s tribute to his friend, the monster pianist Bud Powell, as part of his tribute EP, Marshall on Monk. And then there’s a Gypsy Jazz version of “Well You Needn’t” by West Hot Club, “un quartet nantais de jazz manouche” featuring Rémy Hero and Julien Cattiaux on guitars. Seems obvious, once you’ve heard it.